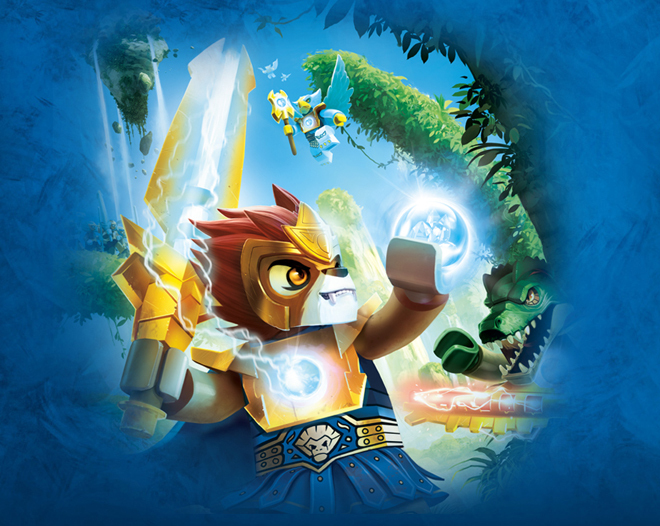 I don’t know if you’re noticing this, but LEGO Chima seems to be everywhere… And I don’t consider this a bad thing. Despite my cynical nature, I’ve always thought that if LEGO want to be successful with their non-licensed brands, they need to adopt a different marketing approach — IP like Star Wars pretty much sells itself, but LEGO IP has always been a problem, like Power Miners, Rock Raiders, Aquanauts, etc. It’s not that the sets are less fun, or have less play, but it doesn’t resonate with the public at a cultural level — IP like Star Wars does and will have lasting cultural resonance. With LEGO Chima, I see bits of the movie Avatar… bits of Thunder Cats… factions based on animalistic traits… there seems to be a deeper story there, but as far as I can tell, the story is a bit weak, but — and here’s where it becomes interesting — LEGO is releasing a cartoon around the same time they release the sets, to help fill the story void in… to tell the deeper story… and LEGO will release a video game around the same time… and NOT a year or two years later like LEGO Batman (sets released and were out of production by the time the video game was released and became a overnight hit; only disappointing kids because the sets were no longer being produced)… and LEGO Harry Potter and LEGO Indiana Jones suffered from a similar fate. Now there might be some contractual agreements with licensed IP that the video game and sets couldn’t be released at similar times, or production times weren’t in sync (see: my cynicism above), but with LEGO Chima, it’s interesting to see product release in timed with the animated series & video game release. And it will be interesting to see if it successful or not, with a non-licensed IP. … I know NinjaGo was a sleeper hit for LEGO last year — it has Ninja’s that haven’t been produced by LEGO for many years, so it’s no surprise to me — but to be honest, the NinjaGo line didn’t have that cultural resonance with me… be it a deeper story, or something I could relate to. Yes I started seeing the ads everywhere! And I like the Thundercats ref… I like it much better than NinjaGo! 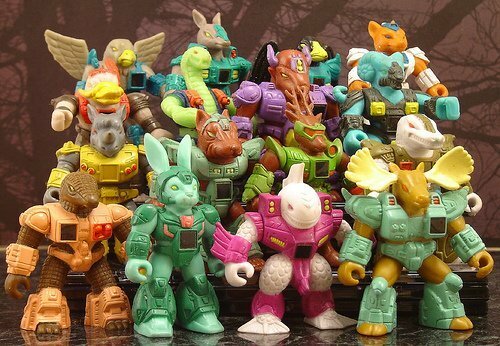 Chima also reminds me of Battle Beasts which got a mini reboot in 2012. So yes, plenty of nostalgia nods in this line, though the pricing is still off.